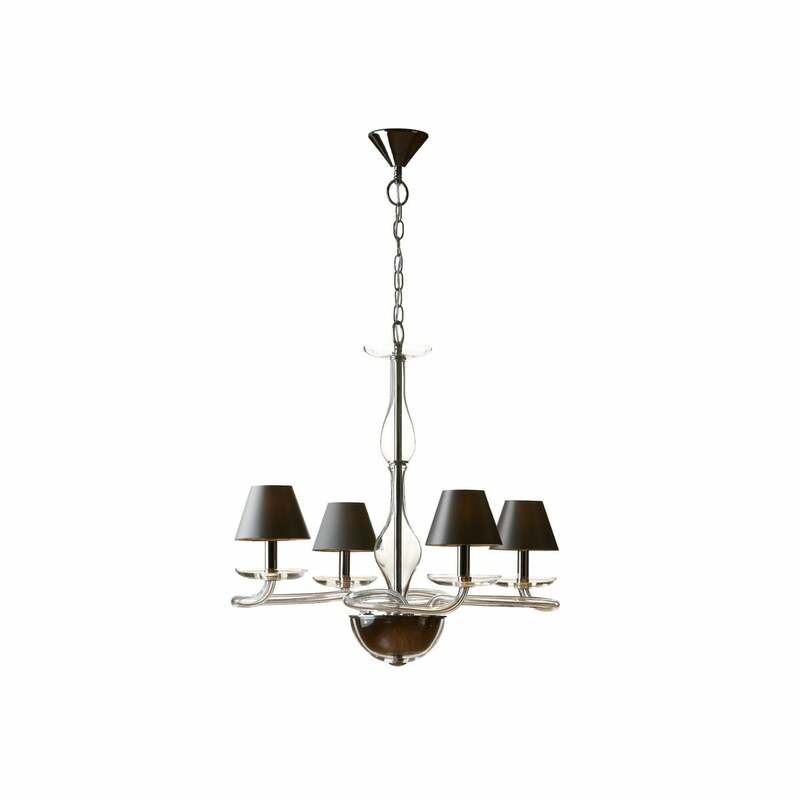 Shaded Chandelier Lisbon to Sofia, designed by Villa Lumi, is inspired by the architectonic details of Sofia, Bulgaria. 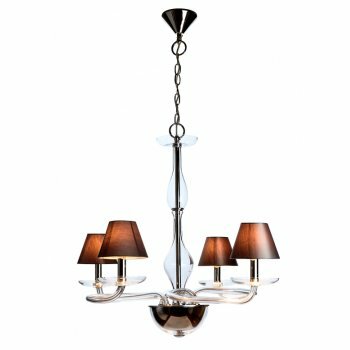 Combining traditional design with a contemporary touch, the Glass Chandelier has a nickel finish, beautifully enhanced by 4 shades that let out a gentle diffusion when lit. 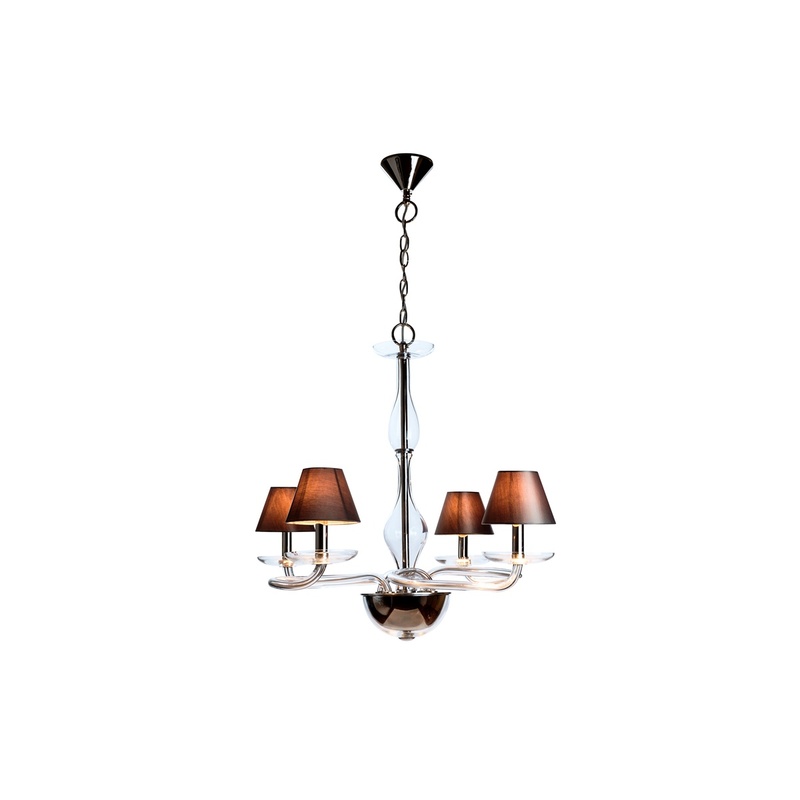 Hang it in the living room for that 'wow' factor.